The U.S. State Department Tuesday opened a child abduction investigation into the case of an American-born 11-year-old girl that has been living in Ghana for the last six years against the wishes of her mother and the orders of a Cook County Judge, while a custody battle for her is being simultaneously argued in Cook County Court. The State Department refused to confirm the investigation to the press, but they did confirm that an outgoing child abduction investigation is underway to Katherine Haskins Becker, attorney for the child’s mother, Ivy Davis. Haskins Becker said that she was also told by State Department that they would be contacting the FBI to look into the case. The girl’s father and Davis’ ex-husband, 34-year-old Raymond C. Gunn, was taken into custody Monday after the latest hearing into the issue, the result of which concluded with Davis being granted temporary custody of the girl. Gunn was ordered to be held in contempt at Cook County Jail until he can produce his daughter, who has been living in Ghana with his father, Raymond F. Gunn and stepmother, Ayesha Hakeem, since 2009. The elder Gunn and Hakeem are two former Illinois attorneys who moved to Ghana in 2009 to form African Connections, a consulting business that helps small farmers. 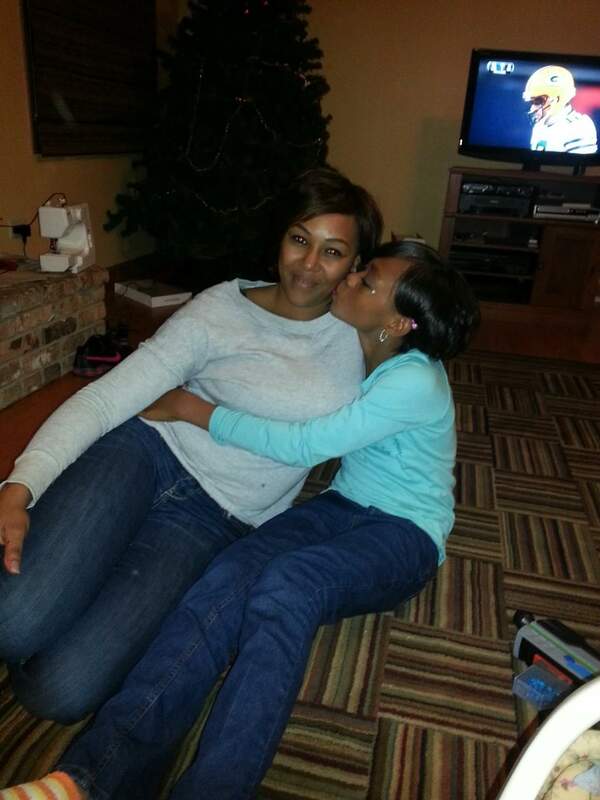 Ivy Davis and her daughter Christina during her two-day visit in 2013, the last time they saw each other. Davis and Gunn met in 2002 after she ran away from a group home in North Carolina when she was 15 and he was 21. Soon after, Davis became pregnant with Gunn and he convinced her to move to Olympia Fields, where he resided with his family. They were married in 2003, by his father Raymond F. Gunn, who was a lawyer. Over the next 8 years, the marriage had its ups and downs, with Davis ultimately moving to Georgia with her young daughter to be close to her mother, two years after being married. In 2009, Raymond filed for divorce and was awarded custody of their daughter. Davis, who did not have the resources to hire an attorney, represented herself and claims that she was bullied by the court system and her husband’s attorneys. According to the original divorce decree, the child’s father was to have sole custody, with Davis getting supervised visitation for the first 18 months, provided she post $5,000 bond. During the divorce proceedings, which lasted from 2009 until 2011, there were no allegations made against Davis’ character or other factors that usually would cause a mother not to be given at least joint custody of her child. Judge Kathleen Kennedy, who presided over the couples’ divorce, declined to comment for this story. Christina was first brought to Ghana in January 2009 after Davis was led to believe that her daughter was going to visit her ex-husband’s father and his wife for three weeks. Since then, Davis has only seen her daughter on a couple occasions, the last being in 2013, when Raymond F. Gunn and Hakeem brought her back for a two-day visit, according to Davis. While Christina is being educated in Ghana and is a star student who knows four languages, Haskins Becker said that the rights of her client have been violated for years. “It’s custodial interference. My client has not been given visitation and only is able to talk to her daughter via Skype on a sporadic basis,” Haskins Becker said. Davis said that she believes her communication with her daughter is monitored by Raymond F. Gunn and Hakeem and is careful not to talk about legal issues with her. “Part of that is because she’s only 11, but the main reason is because I know they listen to our conversations,” Davis said. “She did not have custody of Christina and would have been arrested,” Haskins Becker said. Davis added that during that 2-day visit in 2013 was the only time Christina has ever met her other daughter Lauren Elise, who is now 3. 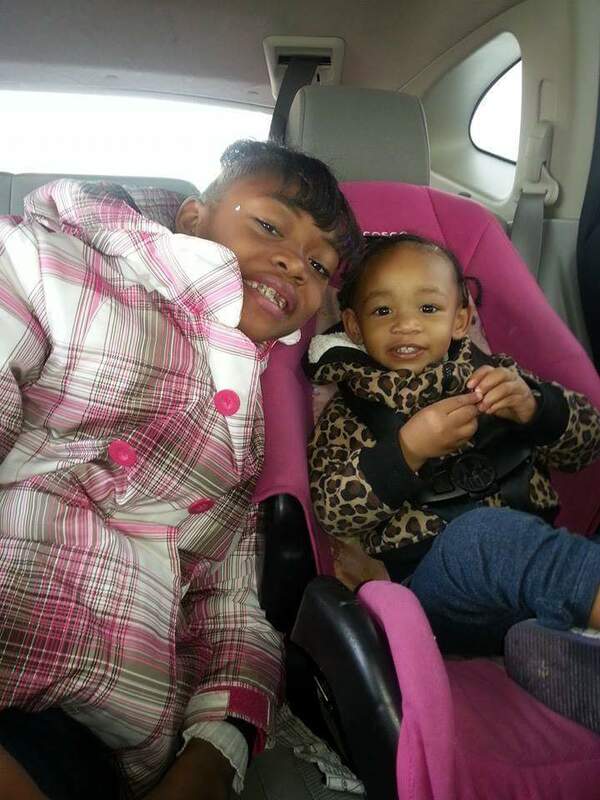 Christina and her younger sibling Lauren Elise, who is now 3. “My other daughter always asks about her sister and wants to know when she’ll get ‘Her Tina’ back,” Davis said. Gunn’s indefinite incarceration was ordered Monday by Cook County Circuit Court Judge Jeanne Cleveland Bernstein, after Raymond C. Gunn failed to follow a January 13 order that his daughter Christina be returned to Illinois. Since the January 13 order, Gunn failed to appear at court Feb. 5 and again on April 15. In addition, on February 25, Gunn’s passport was ordered to be held by Matthew Ingram, the child representative appointed by the court to represent Christina. Through his attorney Linda Epstein, Gunn declined to comment. 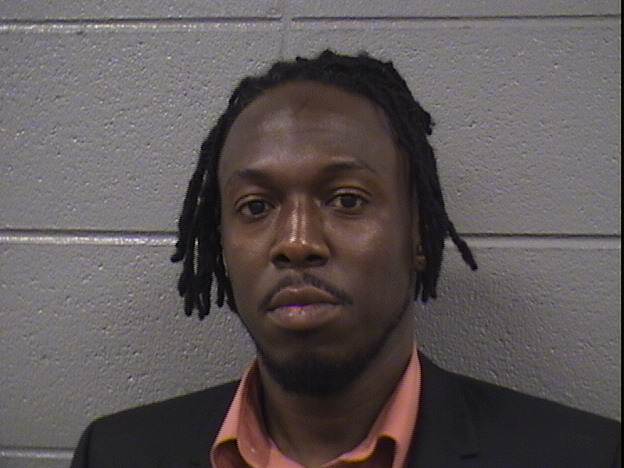 Raymond C. Gunn being processed at Cook County Jail June 22. On June 10, an affidavit signed June 8 by Raymond C. Gunn was filed in a Ghana court, giving custody of his daughter to Raymond F. Gunn and Hakeem. Monday’s hearing in room 3002 of the Daley Center was an Emergency Motion for Change in Custody by Davis in response to that action. Ghana is not a signatory of The Hague Convention of October 25, 1980 on the Civil Aspects of International Child Abduction, thus the Circuit Court of Cook County has no jurisdiction in Ghana, according to Haskins Becker. However, jailing Raymond C. Gunn may provide the leverage Davis is hoping for. A State Department official said that the U.S. government role is to liaison with foreign governments in cases like this to try and bring resolution. The FBI declined to comment. Judge Bernstein also addressed the $5,000 bond that was put into place in the original divorce judgement. When told by Epstein that it was to keep Davis from fleeing to Atlanta where her mother lives, Bernstein scoffed. “A flight risk to where? You know who took the child and who is keeping her from her mother and is guilty of that,” Bernstein said. In her testimony Monday, Davis said that while her daughter is getting an education, she thinks at times she has been in physical danger. After Monday’s ruling, Davis said she was extremely happy but cautiously optimistic that Christina will be back in time for the next hearing, set for July 6. “I’m trying not to get ahead of myself because I’ve gotten my hopes up before. I’m extremely excited though, it’s been two years since I’ve seen her,” Davis said. Brent Christensen, co-counsel with Haskins Becker, said that the Davis’ camp hopes being in Cook County Jail will get Gunn to expedite the return of Christina, along with the involvement of the State Department and FBI. “Cook County Jail is not a picnic and he’s going to be there until his contempt is purged. His father and his mother are going to be fielding calls from him saying ‘I’m at 26th Street.’ The only way for him to get out is to return Christina,” Christensen said.